It takes time combined with some creative energy to set up an ecommerce blog that attracts new customers. However, that’s the easy part. The hard part is maintaining a commitment to publishing valuable content while also understanding the importance of patience. 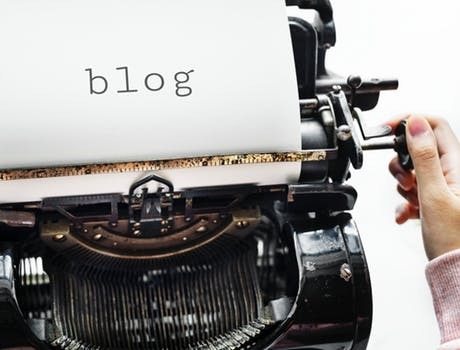 In other words, although a well written blog can create a direct connection to readers—it doesn’t happen overnight. You’re going to want to put on your thinking cap here. Or perhaps you already have a great name for your website. Either way, it should be descriptive. No easy feat, to be sure. So if all else fails, grab a thesaurus or use a blog name generator to help you find the perfect name. You can set up an ecommerce blog by registering it with a hosting service such as Sitelio, BlueHost, GoDaddy, and others. Fortunately, most of these sites are all inclusive. That means you can register your domain name, select a hosting plan, and access WordPress blogging software, including free templates, all from one location. First, choose a template. Then tweak it to your liking to best represent your business and brand. Moreover, you can add various plugins to further customize your blog for things like building email lists, formatting posts, and adding PayPal buttons. Most are free; you simply upload and activate them. One important consideration here is keyword usage, as these can be somewhat subjective, depending on your particular business. But the main thing to initially check is text navigation. Most importantly, if your blog has a different domain than your main website, can a visitor easily link back and forth? Although it may not seem like it when you first set up an ecommerce blog, you’ll soon realize the long term value. And that is, by regularly publishing posts and promoting your site, you start to become seen as an online authority in your field. Not only that, but your blog is an excellent marketing strategy that will continually plant the seeds for future business growth.